Chronic pain is a disease for which there is often little sympathy because many people don’t understand it. If you have a broken leg, your cast tells people that you must be in pain. However, pain from a bad back rarely gets as much sympathy. In addition, chronic pain frequently carries a stigma, and misperceptions of laziness or painkiller addictions follow. While often misunderstood, chronic pain is very real. Acute pain is the response to an injury, which only lasts until the injury is healed. Chronic pain persists, sometimes long after the injury has healed. In some cases, the injury never heals, causing an almost constant state of pain. Many people live with pain every day. In fact, one in ten Americans suffers from chronic pain at some point in their life. If you are reading this, you may have chronic pain or know someone who does. Here are answers to some common questions about chronic pain. When Does Pain Become Chronic? If you have suffered from the same type of pain for more than a few months or for much longer than expected, chances are that you have chronic pain. Unlike acute pain, which subsides, chronic pain can disrupt your daily routine, prevent you from working or cause feelings of hopelessness and anxiety. Many doctors won’t consider pain chronic unless it has lasted for 3-6 months, and is interfering with your quality of life. What If I Think I Have Chronic Pain? If you have had the same kind of pain for more than a few weeks without relief, consult your doctor. He may perform tests, prescribe medications or refer you for physical therapy treatments. During this time, keep a journal about your pain. In your journal, include how you feel at different times of the day, after taking medications, after therapy, during stress and after eating. Include your mood as well. All of this information can help you better understand your pain. It can also help your doctor make a more accurate diagnosis. Diagnosing chronic pain takes time. 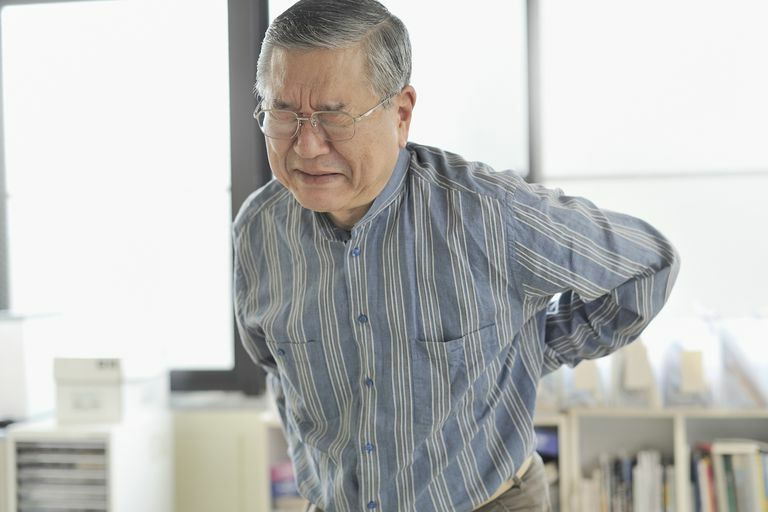 Usually, there is no obvious cause of persistent pain, and generalized pain symptoms are common to a number of other diseases such as MS and lupus. Because of this, your doctor will perform tests and scans to rule out other potential causes before coming to a diagnosis of chronic pain. These tests usually include blood work, X-rays and neurological exams. How Can I Treat My Chronic Pain? Doctors routinely prescribe medications and physical therapy to treat chronic pain. However, because pain is a subjective experience, the same treatment does not work for everybody. This is why there are so many kinds of pain relief on the market today. You may find relief with medications alone if you find the right one for you. Will I Have Chronic Pain for the Rest of My Life? It depends. According to a survey by the American Pain Society, it takes most people about six months to get their pain under control. That may sound scary, but when you compare six months to the rest of your life, it’s a pretty good statistic. The key to managing your pain is to find the strategy that works best for you. While your doctor should be your main source of information, it may be helpful during this time to consult other people who have had similar experiences. Find out what treatments other people tried, and suggest them to your doctor. Being proactive will help you get your pain under control. Pain: Hope Through Research. National Institutes of Health. Chronic Pain in America: Road Blocks to Relief. American Pain Society.